E-signature software changes the way business professionals exchange documents. Personally, it saved me from a dreary, confused search for my landlord’s office for one whole year. We signed our lease by e-signature and, to this day, I could not point that landlord out in a crowd. I’m not saying it’s safe to never meet your landlord in person, but I am saying it was convenient. E-signature tools bring convenience to a multitude of industries. They help salespeople close deals without expensive trips across the country. They can be used to speed along hiring processes, getting employees on the payroll and in the office sooner. Apply these tools to medical practices or law firms, and you have more efficient workflows in hospitals and on court cases. These tools benefit both sides of the equation. Administrators receive their paperwork in a timely fashion. Clients and other recipients get to put forth minimal effort in returning the documents. And the thousands of verified user reviews exhibited for e-signature products on G2 Crowd speak benefits you may never have considered. 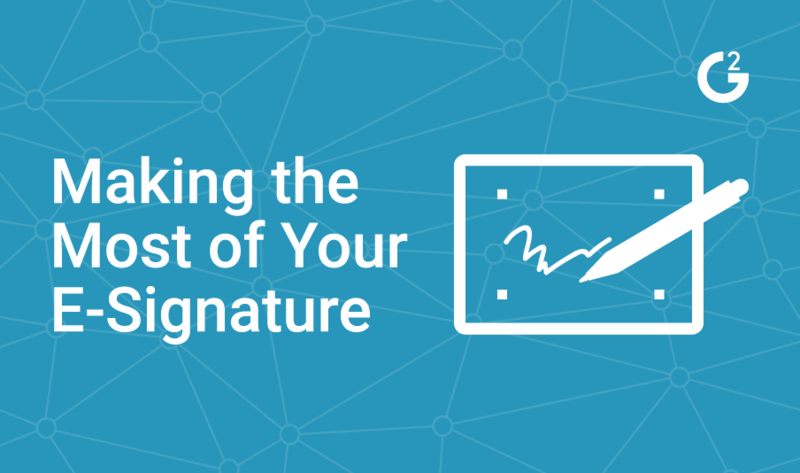 Allow us to sift through the benefits of the most-reviewed e-signature products on G2 Crowd. The following products facilitate the secure exchange of documents between parties, are able to track document status and can be of unprecedented value to your business operations. 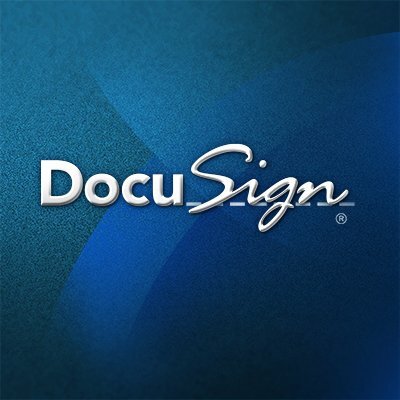 DocuSign is an electronic signature tool used by professionals in real estate, insurance, healthcare and financial services, to name a few industries. It can be used to send private or sensitive documents, as each transaction is encrypted and tamper-evident, leaving an audit trail. It’s accessible globally and can be configured in various different languages. DocuSign is helping companies gain mobility. With its mobile app, users can sign in-person on mobile devices, eliminating the need to print documents out. This product is making important documentation more accessible and shareable among professionals, while also building trust within organizations. General plans. Real Estate plans. API plans. eSign Live boasts helping clients and users securely sign anything, anywhere. It has been a leader on the e-signature grid since summer 2013. This out of the box solution lets users get going immediately after setup. It’s functional for both internal contracts and external signature needs. eSign Live is a global company with data centers in Germany, UK, Canada and Australia with developing locations in Japan, Singapore and Brazil. It adheres to global e-sign laws, helping companies close contracts worldwide. 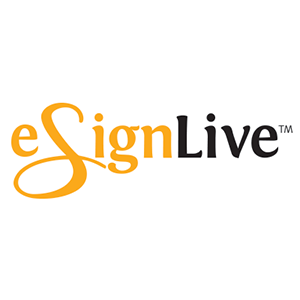 “e-SignLive is impressively simple,” wrote Andrew C. in their eSign Live review. “Their user interface is incredibly user friendly to new signers getting into the groove of e-signatures. Account management has been by far the simplest I have seen in all of the applications that we use here at my company. Adding members, deleting members, assigning Manager roles, password changes, etc, are all most frequently used and easiest to resolve issues for. Some of the business problems solved include reduced compliance checks and issues typically associated with paper exchanges. Users find it reliable, allowing them to complete the job in less time. It’s an easier solution than printing and/or scanning and is hassle-free for the recipient. Free 30-day trial. $20 per user per month for professional plan. Call for enterprise pricing. Adobe Sign is the e-signature prince of Adobe’s software kingdom. It celebrates helping users take their workflows completely digital while complying with all legal requirements. Workflows can be drag-and-drop, creating simple follow-throughs for recipients. 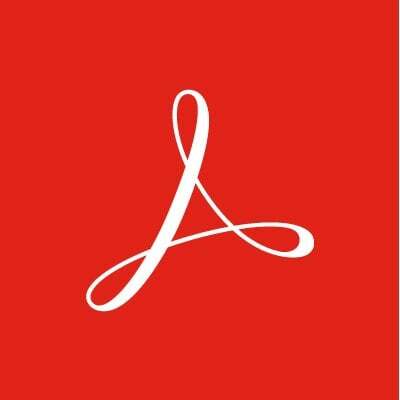 Adobe Sign offers a branded experience with your e-signature documents. This increases trust with your recipients, who can be absolutely sure of the document’s validity. It’s a customized experience that feels unique to the recipient. This product is even a viable option for users who aren’t ready or are unable to completely digitize processes. Various plans for individuals, teams, businesses and enterprise companies. 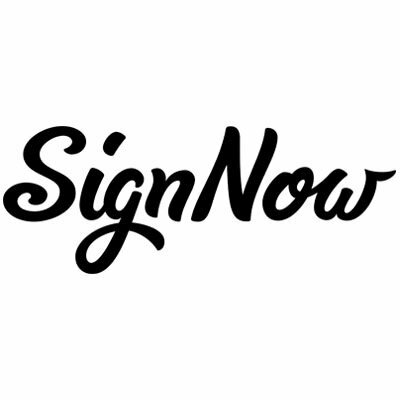 SignNow is another e-signature platform that allows you to send documents and data internally or externally. It provides templates for simplified document creation. Users can divvy up department employees and organize them by team. Features such as “signing order” ensure documents are completed according to their specific regulations. Users can be invited to sign in the proper order, ensuring no major players are left off the list. Similar to Adobe Sign, SignNow also features custom branding and is functional on any mobile device. $5 per user per month for business plan. 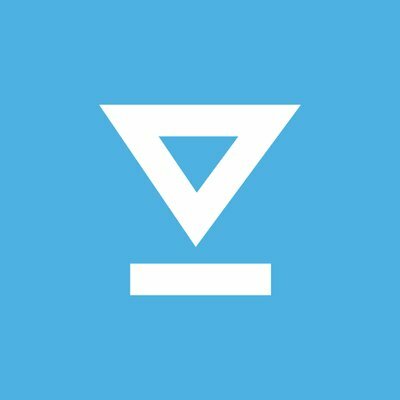 $15 per user per month for business premium. Contact vendor for enterprise pricing. HelloSign is built for businesses, ensuring documents are signed by up to 20 people in the right order. It offers templates and allows users to create teams within the platform. This product provides updates to users throughout the signing process. This keeps the workflow, well, flowing and ensures documents don’t get stuck early in the pipeline. Free to get started. $13 a month for the pro plan. $40 a month for the business plan. Enterprise users should contact vendor for pricing. Details here. E-signature tools are a proven solution to the back-and-forth between professionals trying to complete multifaceted processes. They can take months of waiting into minutes, allowing recipients who are out of the office to complete important documents via their mobile devices from hotel rooms or airports. The aforementioned are only five of the most-reviewed e-signature products on G2 Crowd, but the category features 67 products. If you’re in the market for a tool that can increase efficiency and grow brand trust, read a few of the verified user reviews to get an authentic taste for the market. Sometimes simple is the way to go. Here are the five easiest-to-use e-signature tools, according to real users.